Diamondbacks RHP Clay Buchholz (strained left oblique) is scheduled to pitch a simulated game on Friday. Manager Torey Lovullo said Buchholz will throw 55 to 60 pitches. 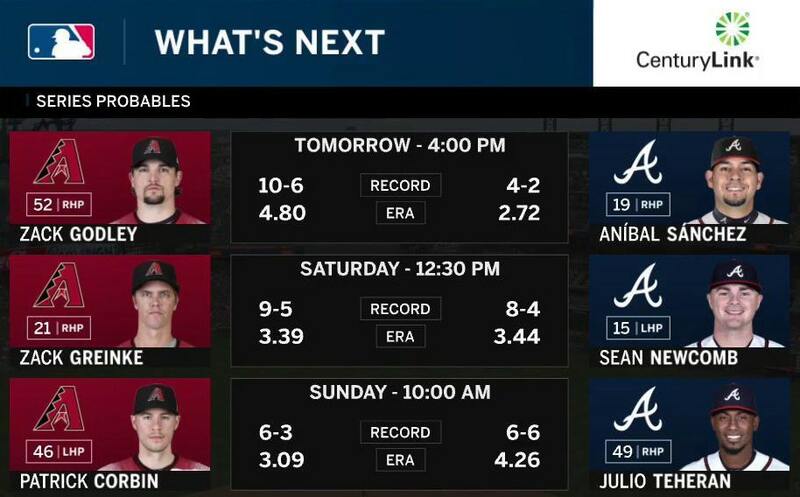 Diamondbacks RHP Zack Godley (10-6, 4.85 ERA) will face Anibal Sanchez on Friday to start a three-game series in Atlanta.